We aren't quite sure how it happened so fast but this is our final blog of the November Real Bride series and we have loved showcasing Erin and Jeff's story! I mean come on, look at her in that dress! 😍 We hope you enjoy reading all about their wedding day in today's post! 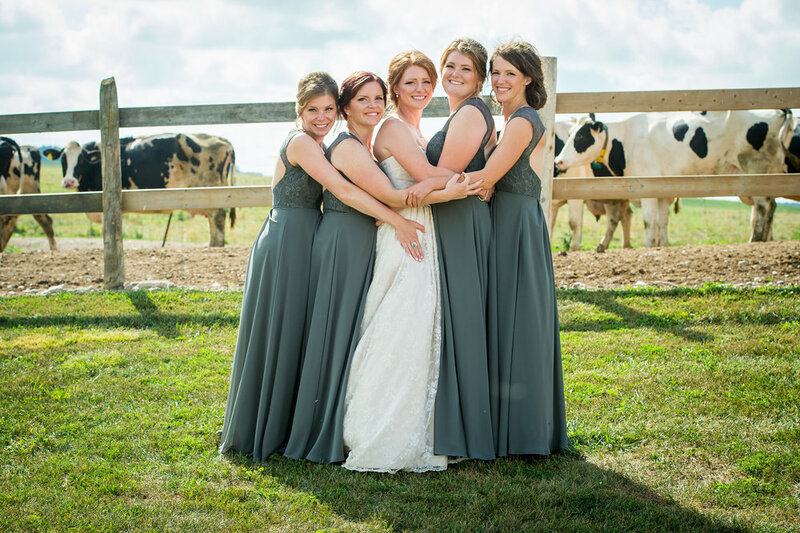 "We got married on my family's home farm where I work. Outside on the lawn. Our reception was at the Parkhill Community Centre." "Seeing each other for the first time when I walked down the isle. Also, just seeing all of our family and friends coming together to help celebrate!" "One-12 Photography, Amotion Films (Videography), Pineridge BBQ, Schwartzentruber Music Services (our DJ)." If you're a Once Upon A Time Weddings Real Bride, please send us a message on Facebook because we'd love to feature you! If you want to become a OUTWRB book your appointment with us today!